"It was a totally new approach, both for them and for us as nursing students." Since 1996, hundreds of graduates have embarked upon careers in nursing thanks to the degree courses at Plymouth University: uniforms pressed, ready to utilise newly learned skills for the good of their patients. The answers that they’ve come up with have been in tune with the national heartbeat – so much so that earlier this year, Health Education England Senior Policy Nurse, Ruth Auton, came to see for herself the work being done. So what’s different about this education strategy, and how did it come about? The key development has been to link nursing students to patient participation groups (PPGs) based in GP practices. In collaboration with the Development Director at the Patients Association, Heather Eardley, the University launched a pilot project in the spring of 2015 involving 23 PPGs across the South West. Over a three-month period, nursing students attended meetings within their community to identify issues and suggest and create solutions, such as social and printed media campaigns, and communication sessions to raise awareness on key issues. The project has not only benefited the community, through improving access to health services and better representation of hard-to-reach groups, but the wider patient engagement opportunities have also helped to enhance the students’ clinical placements. Student nurses now receive written feedback from patients, carers and service users on the care they provide on placements, helping them to fine-tune and perfect their practice. Student nurse Megan Betts was partnered with a GP surgery in Falmouth, and during that time she created new resources such as a patient questionnaire. Zoe Young became a student representative in not one but two PPGs, one of which was her own GP surgery, and she’s keen to see the partnership continue post-graduation. To support the students ‘out in the field’, a specialist tag on Twitter @PUNC14 (Plymouth University Nursing Cohort 2014) was set up by Ray Jones, Professor of Health Informatics, enabling them to exchange ideas and best practice. Ray has since published a paper on the effectiveness of Twitter as an assessed module for first-year student nurses, and has been interviewed about his positive findings by national publications including Nursing Standard. This wider patient engagement programme was deemed to have made such a difference that it was extended to the 2015–16 intake of students, and with the Nursing and Midwifery Council revising its nursing education standards next year, it could be replicated in higher education institutions across the country. 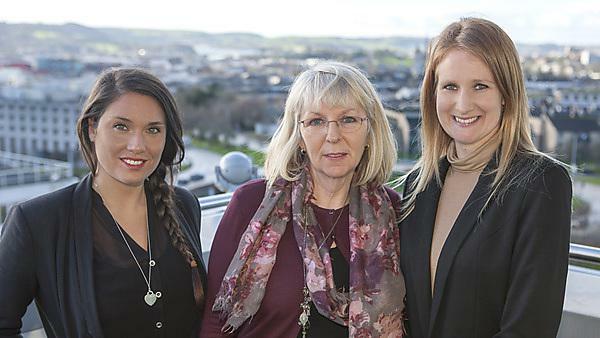 Plymouth nursing students now undertake specific educational activities with a national patient representation group to learn how concerns and feedback are responded to by healthcare organisations. Staff and students from Plymouth University will be working alongside Patient Opinion to present their engagement work at the Royal College of Nursing Centenary Conference in November, where they hope to inspire more national health providers.